One of the main decisions that a homeowner makes when getting a new roof is the material they are going to have installed. 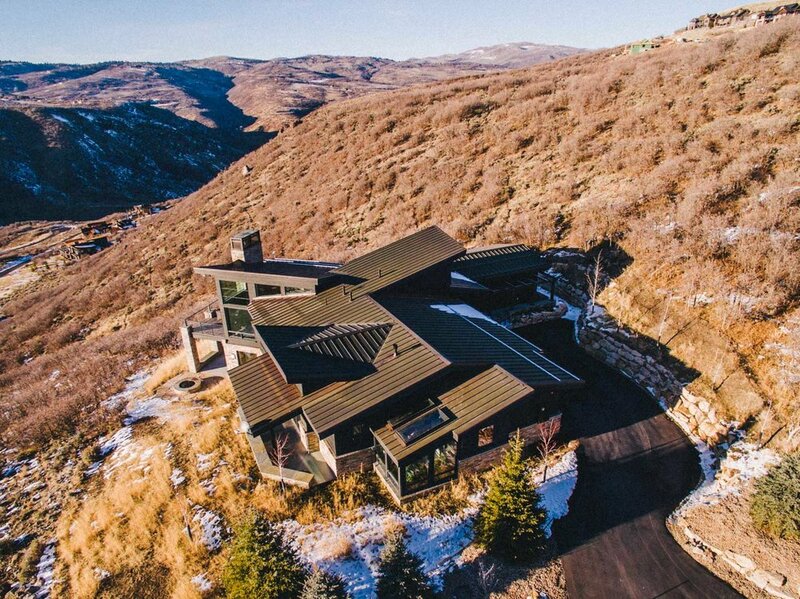 There are many roofing options, but asphalt shingles and metal tend to be the most used materials in Park City. Different roofing materials have distinct advantages; in this article, we will look at 3 key reasons to choose a metal roof for your Park City home reroof. One of the most significant benefits of metal roofs is that they are incredibly durable. Metal roofs are often referred to as lifetime roofs because they typically last at least 50 years with copper and zinc roofs lasting up to 100 years. That means that a metal roof will often be the last roof anyone will ever have to put on a home. Metal roofs are typically made from galvanized steel, copper, and aluminum that are coated to reduce corrosion and improve the overall lifespan of the material. Metal roofs on average are expected to last 3 to 7 times as long as traditional asphalt shingle roofs. Not only doe metal roofs last longer, but they also are better at protecting your home from the elements. Metal roofs have higher wind ratings, fire rating, aren’t prone to cracking and splitting like asphalt shingles. Most metal roofs also carry warranties that cover the materials for 25 to 50 years. Metal roofs aren’t only more durable; they also improve the value of your home. A metal roof is a reassurance that roofing work will not be needed in the future and because of that, it adds value to your house now. Homes renovated with standing-seam metal roofing recoup on average 85.9-percent of costs nationally and up to 95.5% for homes in the Eastern states, according to Remodeling Magazine. These gains in resale value amount to 1- and 6-percent, respectively, over houses roofed with asphalt shingles. Metal roofs also add curb appeal to a home which can be crucial to selling a home fast. Metal does cost more when compared to traditional asphalt roofing systems, but because metal roofs have a much higher lifespan, they end up being a smarter investment in the long term. Metal roofs also have the advantage of improving a home's energy efficiency and overall environmental impact. Metal roofs do a much better job of reflecting and reducing the amount of sunlight that is absorbed by the roof of a home. Metal roofs reflect solar radiant heat, which can reduce cooling costs by 10-25%. Metal roofs are also highly recyclable. Most metal roofs contain between 25% to 60% recycled content, depending on the material used. Most metal roofs are also 100% recyclable at the end of their lifetime. This helps reduce the amount of tar that is dumped because of asphalt shingles. A major decision that homeowners in Park City looking for a new roof will need to make is what roofing material to use on their home. Metal roofs are great for Park City homeowners because they are more durable, increase a home's value, and improve the overall efficiency of a home. Homeowners looking to make the best investment in their home should choose a metal roof. Metal roofs are typically more expensive but are worth it long term.